After loads of contemplations over how to get relieved from our medical conditions wholly, it is thoroughly considered right to relying on the very practice of words known as “Medicine”. Yes, this charismatic endeavor really boosts echelon of the medical world. So it means a lot to showing full of gratitude for global arena of medicine in recuperating well every kind of medical disorder.Here, fertility treatment available at us has its existence significant to make possible fertility for infertile couples, however. Now let us take a precise acquaintance upon one of our fertility solutions; Natural IVF India. Natural-Cycle IVF has been recommended as a means of lessening the risk of multiple pregnancies, removing the costs and risks connected with fertility drugs, and decreasing the stress and time commitment required for traditional stimulated IVF. Yes, this approach has been taken up by a number of leaders in the field of IVF, including Dr. Robert Edwards, whose ground-breaking work, along with Dr. Patrick Steptoe’s, guided to birth of the world’s first IVF baby, Louise Brown in 1978. This keeps away from the use of exclusive ovarian stimulation drugs and their linked cost of about $4,000 per treatment cycle. With Natural IVF India, the risks of ovarian hyperstimulation, multiple pregnancy, and the issues of cryopreserved extra embryos get shunned as only one embryo is produced. Who can be considered candidates for Natural IVF Cycle at WFS India? Any woman who does ovulation may have to natural IVF in India. Women who do not ovulate may think to mild IVF as an option. Natural IVF has precise applications in women with injured or the blocked tubes, in the older women, in women with low egg reserve, poor responders and in those with formerly unsuccessful implantation with conventional IVF. Natural IVF in India gets itself popular with women willing to avoid fertility drugs and the associated risks. Also, this method of treatment is chiefly valuable for women who are detected well with cancer or who have a high risk of expanding breast, ovarian and uterine cancer and for those with severe endometriosis who want to keep themselves away from fertility drugs. At us, treatment seems as same as conventional IVF, but devoid of the fertility drugs that are used to end for natural egg production and hormones that enhance the supply of eggs. As your ovaries aren’t being unnaturally roused, you don’t require to rest as you would do after conventional IVF. If your treatment is ineffective, you may re-try sooner if you wish to. There are no side-effects such as ovarian hyper-stimulation syndrome, bloating, mood changes or the other concerns pertaining to ovarian stimulation. Due to the effect of ovarian stimulation drugs on the body, patients bearing stimulation cannot chase for consecutive cycles of treatment and require taking 2–3 months break between the treatment cycles. In difference, the natural IVF’s patients could do again their treatment in the consecutive cycles. 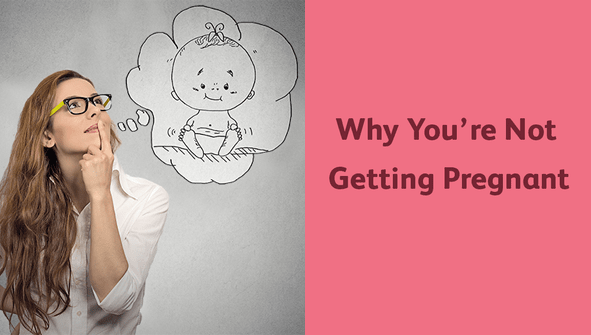 As only one embryo gets moved in a natural cycle, there is almost no risk of a numerous pregnancy. In addition, ovarian stimulation drugs are expensive and this signifies that the cost of each cycle is considerably less. Consult With Expert Online ! 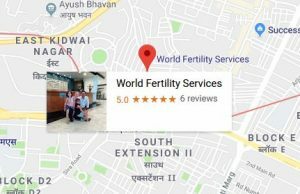 Why to look on Natural IVF in India? An improved understanding of ovarian physiology, advances in ultrasound technology and the clinical availability of sure hormones now allows ovarian stimulation to get started in the natural menstrual cycle providing us an opportunity to expand more gentle approaches to IVF treatment. Along with additional medical and systematic advances, this better understanding is to make natural stimulation IVF treatments more successful and gradually more relevant to everyday practice. The natural IVF in itself gets less expensive than the stimulated IVF treatments as it does not need a daily dose and an increasing dose of expensive medications. The health and well-being of mother and child is our first priority. This in vitro fertilization (IVF) treatment puts forward a less invasive approach and the use of no/less drugs leads to fewer probable risks and side effects. In conventional stimulated IVF treatments, there are lots of potential risks. In addition, Menopausal symptoms may be undergone owing to suppression of the ovaries, even as further side effects such as headaches, hot flushes, bloating and mood changes are common. Patients who prefer this option could do again their treatment in the consecutive cycles – whereas, owing to the effect of ovarian stimulation drugs on the body, the stimulated IVF patients require to get a 2-3 month break between cycles. An Honest Opinion is What You Get !